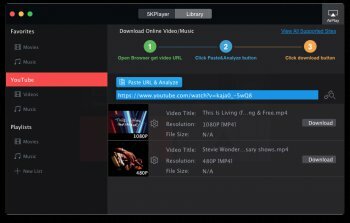 5KPlayer is an all-in-one free media player that works as HD video/music player, DVD player and AirPlay streamer. It plays 4K/5K, MKV, MP4, AVI, WMV, MP3 music, radio & DVD flawlessly. 5KPlayer also supports Apple's AirPlay tech which allows you to stream media from iPad, iPhone to PC or from PC to Apple TV. Moreover, 5KPlayer is your one-stop tool to build and manage personal media library. 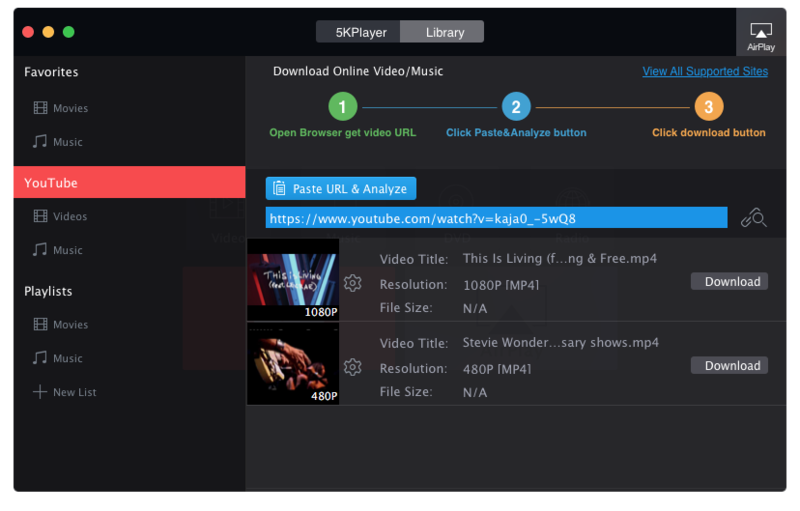 With these advanced features, 5KPlayer can easily fulfill all of your music video playback demands. Just feel free to get this unique media player and enjoy a brand-new audiovisual experience.